Iconic Santorini is pleased to announce extended season dates for 2018. With an early opening date of March 28 and a late closing date of October 22, travelers have even more opportunities for a romantic escape. 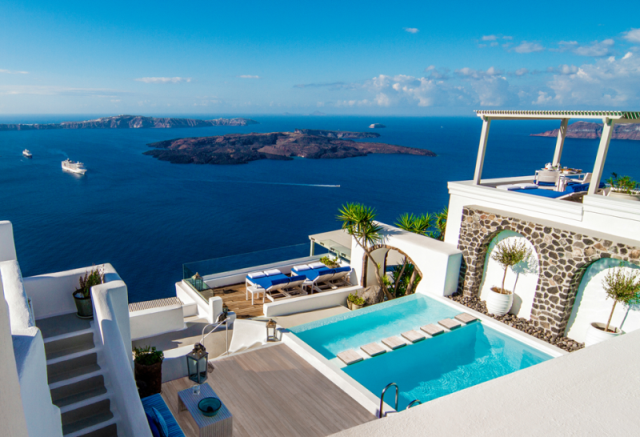 Guests at the Iconic Santorini wake up to some of the most breathtaking views in the entire Mediterranean. Perched a thousand feet above the sea, Iconic’s guest rooms and private decks all look out across an azure lake formed by an ancient caldera. 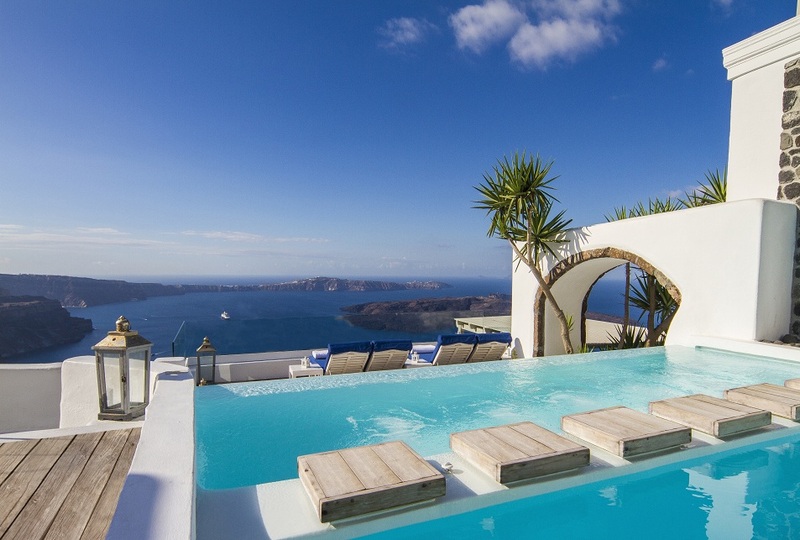 A terraced taverna and a column-ringed swimming pool offer the same eye-opening panoramas. At the Iconic, guests dine, relax and cast off life’s everyday cares enveloped by one truly awesome panorama. Iconic’s Spring Special Offer includes attractive rates and value-added amenities, designed especially for honeymooners and romantics in general. 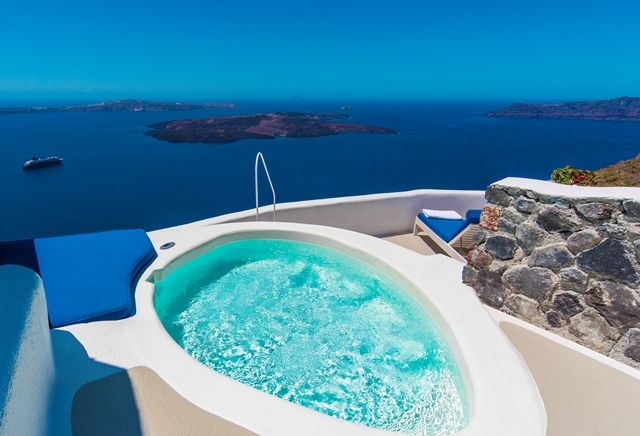 To ensure you don’t miss out kindly contact reservations at info(at)iconicsantorini(dot)com and type just three words in the subject line: Spring Special Offer. We’ll rush you all the details. The local island chef prides himself on sourcing the finest ingredients and quality products to create guests’ favorite dishes and augments them with a set of innovative new variations on classic Greek recipes. 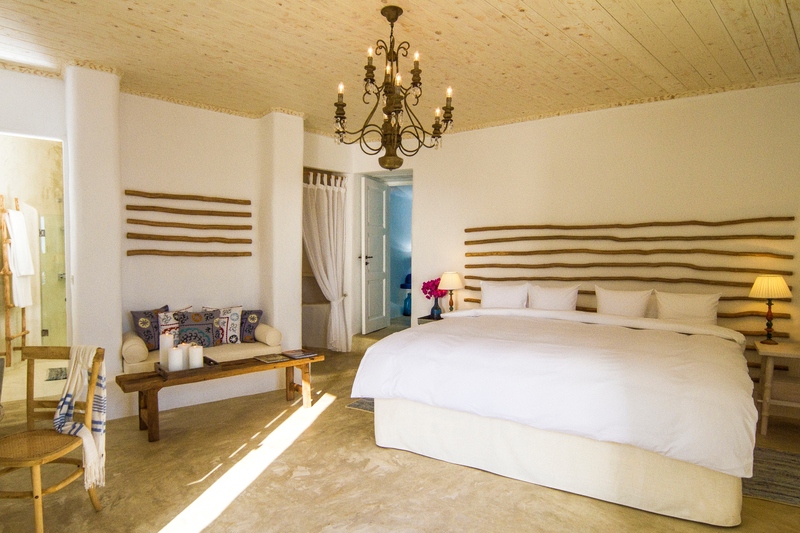 The 19 individually designed residences, re-imagined from traditional Santorini homes and craft shops, reflect the island’s unique white-vaulted style and colorful fabrics. Now skillfully adapted for today’s demanding travelers, these residences let visiting friends live an authentic Greek experience while still enjoying state-of-the-art amenities. Included are flat-screen televisions with international channels, dedicated routers for hi-speed Wi-Fi, JBL sound systems, sumptuous 4-layer COCO-MAT bedding, even converter power plugs for guests’ devices. All the comforts of home, in other words, but with the bonus of friendly Hellenic hospitality from a dedicated, highly professional staff – one of the prime reasons why Iconic Santorini continues to earn international awards from travel experts around the world. Daily double rates at “Greece’s Leading Boutique Hotel” begin at $740 and include a full cooked breakfast, daily supply of mineral water, round-trip airport transfers (suites), complimentary high-speed Internet access and all hotel taxes. For additional background details, personal interviews by phone or email and hi-res photography, please contact Martha Morano: 212-860-5566 or by email to martha(at)moranopr(dot)com. 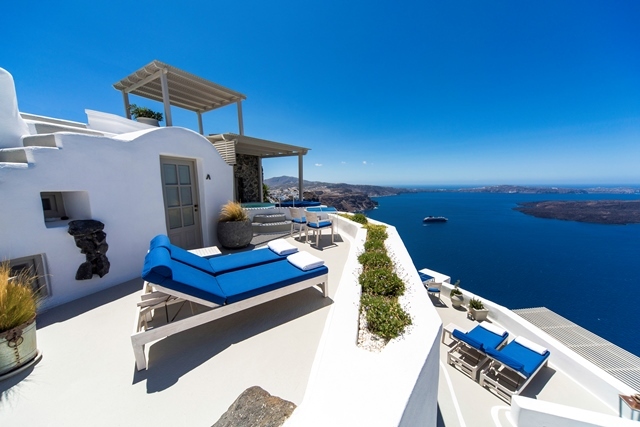 Iconic Santorini is managed by Hospitality America LLC and is a proud member of the Mantis Collection of award-winning five-star Hotels, Eco-escapes & Lifestyle Resorts. This award-winning combination ensures guests enjoy warm friendly welcomes and world-class service in spectacular locations.